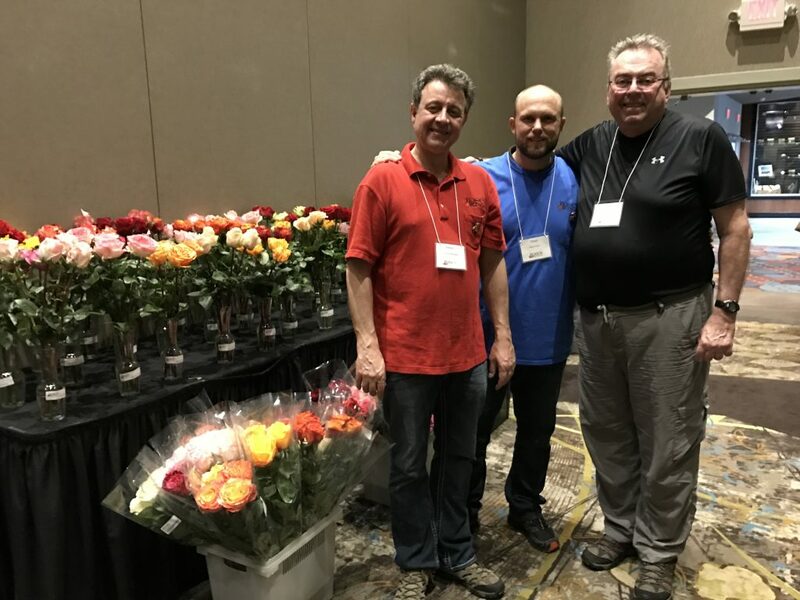 This weekend we are assisting “Roses & More” in Spokane, Washington with their open house. We built a display with 100+ varieties of Ecuadorian roses, for retail florists to see, touch and feel. Pictured along with Diego is the owner Bob Hamacher and Steve Iseman, the general manager of Roses & More. How can we help your wholesale business? This entry was posted in Blog, Ecuador, Open House. Bookmark the permalink.